I am quite excited to have ordered and received, my first Envy box. Yes, My Envy Box. I knew the content before hand and hence ordered the box. So there wasn't any surprise element for me in the box. Za True White Exfoliating Clay- 30g deluxe sample. This was one of the main reason for me to order The Envy Box (Full Size Rs.399/- for 100g). I am yet to try this one and review it here too. Stay tuned. Marc Jacobs Daisy Dream - I just love all things fragrant. This one came in 1.5ml small ampule ( 100 ml is priced at Rs.5700/- ) However I am loving the full size bottle. isn't that cute? Kama Ayurveda Rejuvenating and Brightening Ayurvedic Night Cream- [Full size Rs.1195/- for 50g]- Well Never used Kama products as such and not sure if I will try this one. Besides, the sample size is too little and hoped that they would have given a bigger bottle than 2 of them from same range. 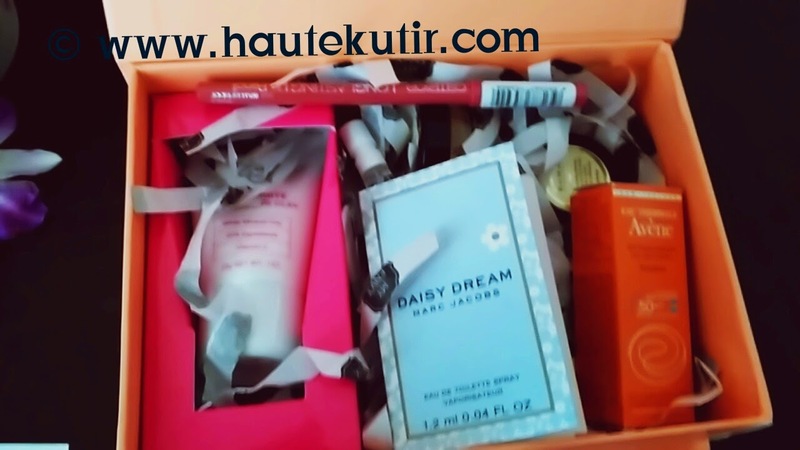 Haute Kutir Verdict: I love trying out new things and loving the concept of beauty boxes. Though I am not too fond of many currently available beauty boxes in India. As I feel they sell, what are otherwise given for free samples. Besides, I never liked receiving satchels in name of beauty bags. Knowing TEB penchant for sending satchels and my obstinate fascination with tried and tested products, I stayed away. However this time it was different. I quite liked this Envy box and hence went out my way asking the team to see if they can send me the back dated box, which they did very gracefully. They not just honored my request for back dated box but also delivered it quite faster. I have opted for COD facility and wasn't charged additionally on same. The product range is wide and good. I loved the brands they chose to give except for Kama Ayurveda as I have not tried Kama products ever and wonder what they would be like. I will however try to use the ones in the bag this month. The sample size is so small that they may not add impact but I will get to know about allergies, if any. 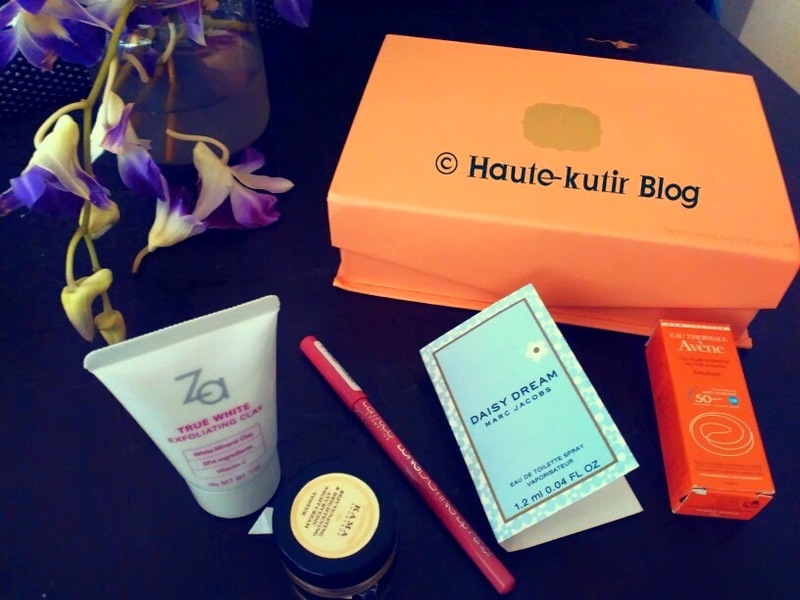 As you can see, the box came in a lovely, vivacious summer orange color and the overall packaging was good and much in shape during product delivery. The contents were wrapped inside paper shreds branded with MEB, unlike the previous boxes wherein the products came enclosed in a sheer satin cloth potlis. However I still feel at at Rs 850, it is rather not economical proposition and the brand could do better by including at least one full sized products, totally removing satchel or including bigger [made to order] sized products. The product mix was good. Overall, I loved this box. I shall share the product review soon. Yup..the contents are quite good and of premium brands. Bag worthy! Do try. I want this. This looks so cute and pretty.